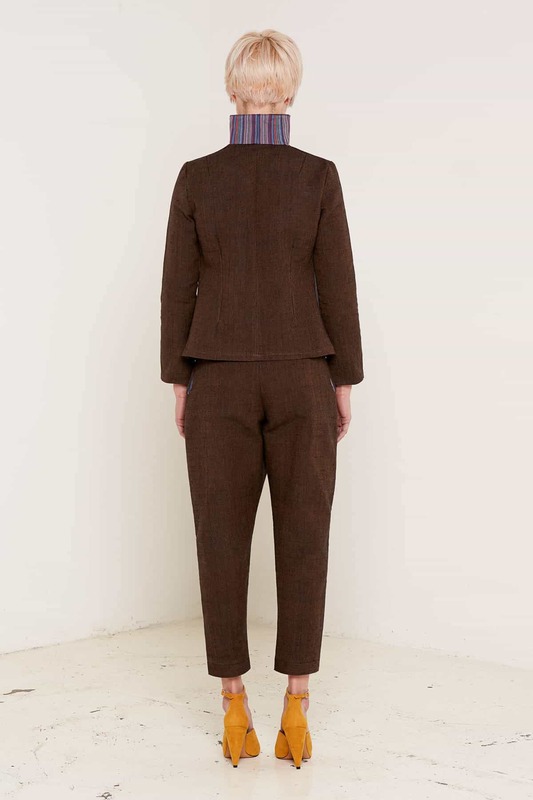 This elegant brown jacket is made from a heavy, high-quality texweave fabric and finished with subtle, stylish details that make it stand out from the crowd. The high collar is lined with a striking blue and violet vertical stripe, which can be turned down for a more formal look. The buttonless jacket is fastened with a beautiful clasp stitched into the breast of the jacket.